I visited the Yucatan Peninsula in December of 2016 and hosted trips here in May of 2017 and this past April of 2018. Scorpion Reef (Spanish: Arrecife Alacranes) is a Marine Reserve Park. 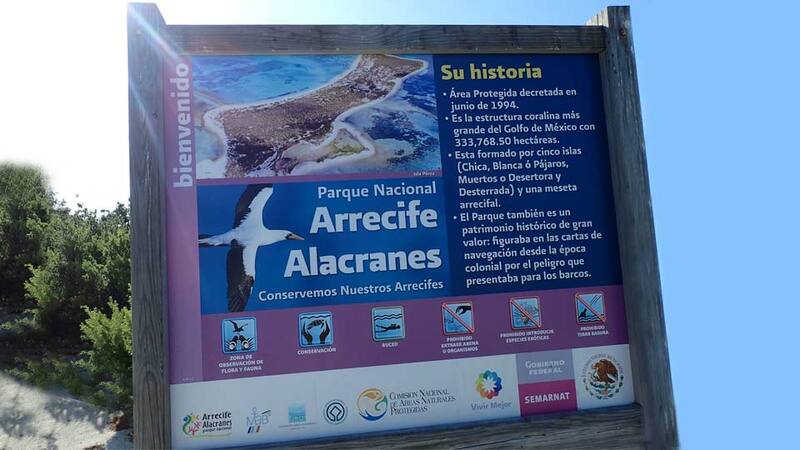 Sea turtles and exotic birds nest on the five islands in this area. There are only a couple of buildings on the main island, and the few people who live here oversee the lighthouse. 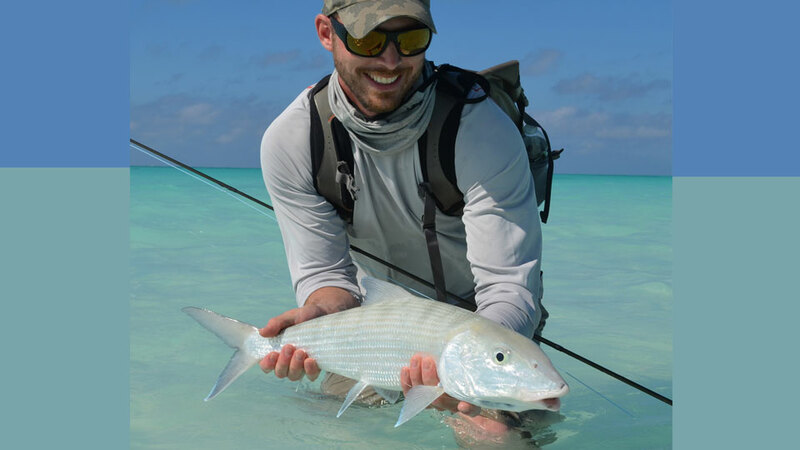 This trip involves a lot of walking, but the size and numbers of the bonefish are worth it. We must have a group size of five anglers for this adventure. The night before our 2016 trip, our group of six met at the Casa Del Balam Hotel in Merida. We left the hotel early the next morning at 4:15 a.m. We drove 45-minutes to Progresso, a major port city for the Yucatan Peninsula, and boarded our boat, a 38-footer with three 350 HP Yamaha outboard engines. 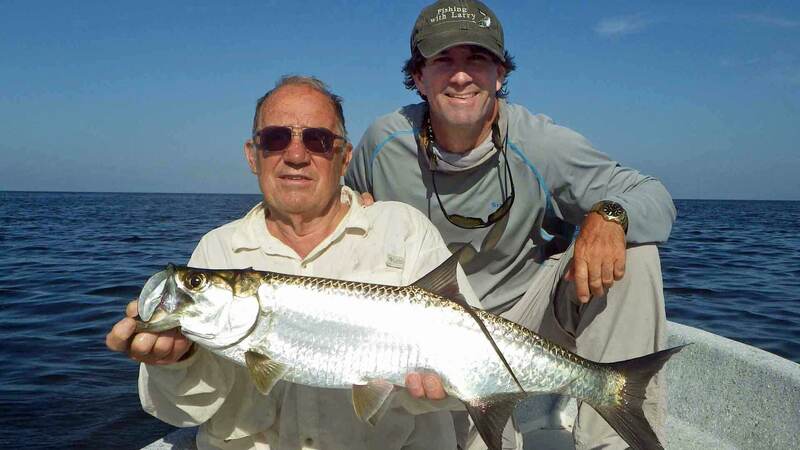 There was the captain, two mates, Raul Castaneda—the outfitter for both Tarpon Town and Scorpion Atoll—and Juan, his head guide. Our 70-mile ride to Scorpion Atoll took about 3½ hours. Each morning after an early breakfast, we took the boat to one of the islands that we were going to fish that day and waded to shore. 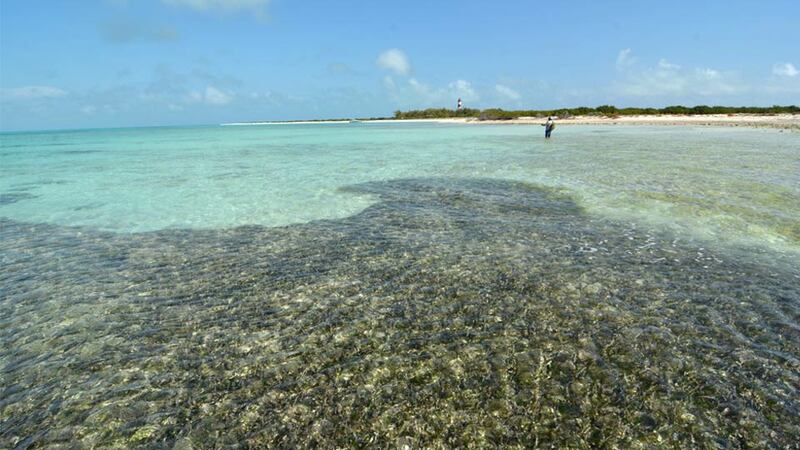 From there, we walked around the island looking for bonefish on the edges and wading the extensive flats. This trip involves a lot of walking. We came across single bonefish, pairs, groups, and sometimes large schools with over 100 bones in them. Most of the bottom was light-colored sand. Turtle grass covers some areas, which makes it difficult to spot fish. Plus, your fly can get hung up if you don't get a bite soon after casting. I used an eight weight rod with a tropical floating line. A ten weight is recommended for Permit and Barracuda, also with floating line. 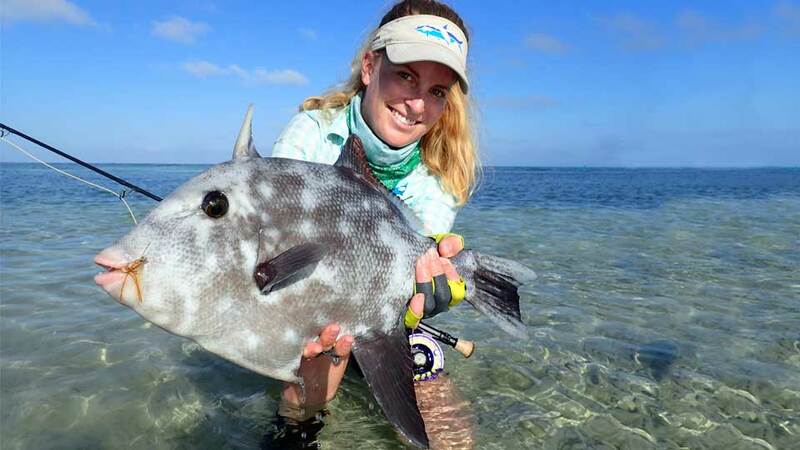 The flies I used the most were the Squimp fly in size 6 and 8 and a Mantis Shrimp fly that I had good success with when I was at Christmas Island the first week of November 2016. After I got bored using the same flies, I’d try other flies, and they’d eat some of them just fine, others not so well. I started out with 15-pound leader, and in the end, we all used 20. 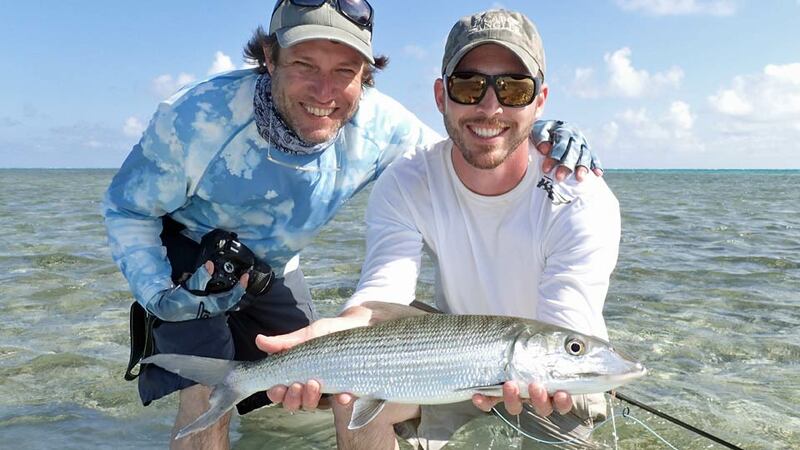 All of us concluded that the average size bonefish landed here were larger than those encountered in Ascension Bay. The first day I was busy taking in the adventure and only landed about three bones and saw many more, a couple in the double-digits. The other anglers landed more than I did and they also saw some very large bones. The next two days, I had perfect fishing, not too easy, but challenging to where I had to make a good cast to get the fish to eat. I’d pick a fish to cast at or cast toward the edge of the schools and get them that way. The average size was an honest 6-pounds. For their length, they appeared to have more girth than most bones. I’ve been told that they could be feeding on small baitfish. After about ten fish, I easily lost track of how many fish I landed, but I can honestly say that there were two days in which I landed over 20 to 24 Bonefish. There are some opportunities for permit. I only saw four and did not get good casts at them as they were cruising past me. One day John, Nick, and Juan took the smaller boat to fish a coral reef for Permit. They chased a few and had chances, but no hookups. That afternoon Alex and I went back, but the water was too high for us to spot them. We saw one Permit tailing, and by the time we got close enough for a cast and Alex got out of the boat, it was gone. 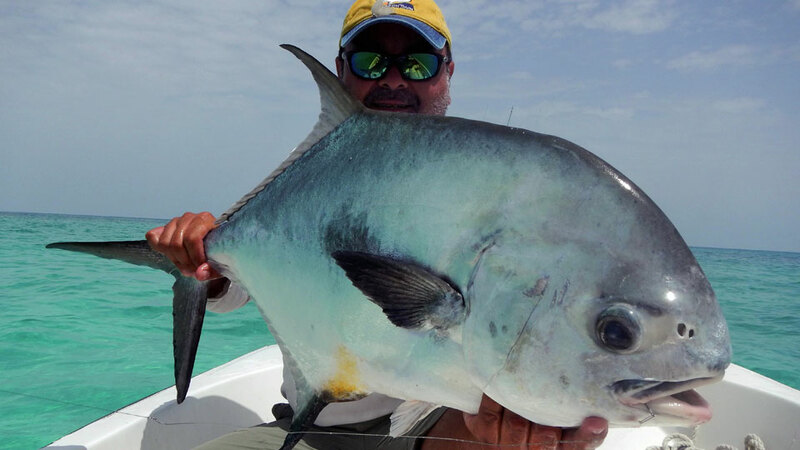 Raul has had clients catch Permit in the past with good success. We also caught some triggerfish and jacks. There are barracudas available; we all tried a few times without any hookups. Scorpion Atoll is an amazing place. It is one of those destinations that you need to experience before it gets popular. 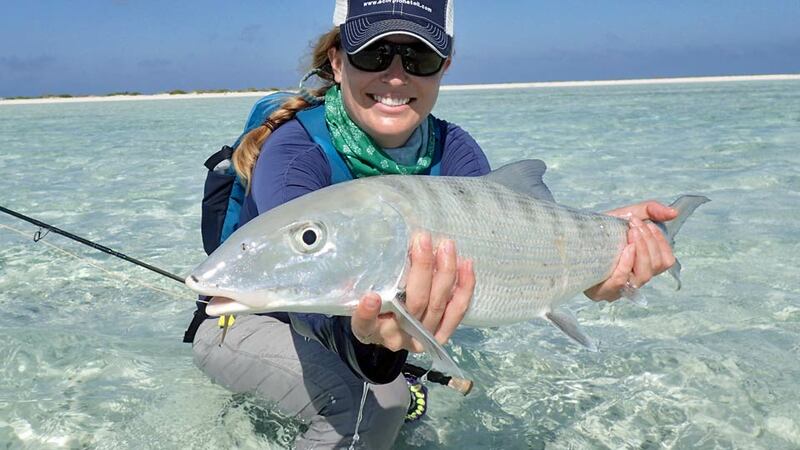 We all felt that this trip to Scorpion Atoll was the BEST Bonefishing trip that any of us have ever experienced. I liked it because of the average size of the Bones and the overall fishing conditions. Prime weeks are from the last week in April to the first week of June. 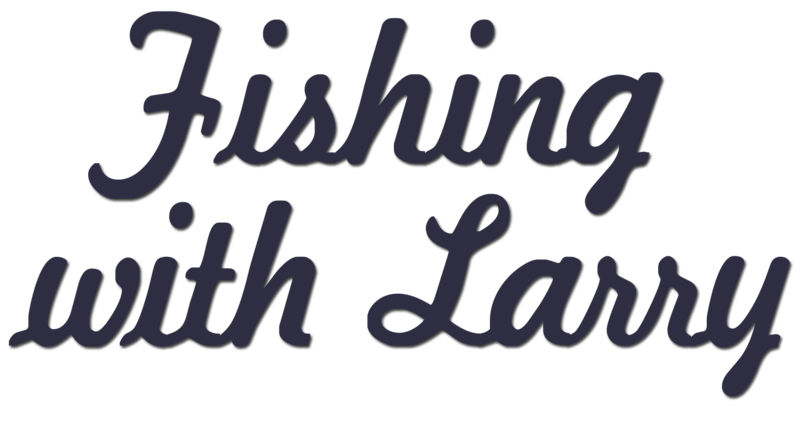 Prices are subject to change and are based on a commitment from five anglers. The way that we've set this Combo Trip up is we fly to Merida, Mexico and spend the night. The next morning we’ll leave for Scorpion Atoll and fish that day. Then we’ll fish the Atoll for the next three days. We’ll fish the last morning (half the day) and then head back to Progresso, a 4- to 6-hour commute on the liveaboard boat, depending on the weather. From Progresso, we’ll drive to Campeche (2½ hours) and check into the Ocean View Hotel. We’ll fish the next two days for baby Tarpon. On the last day of fishing, we'll fish until about 1:00-1:30 p.m. We'll return to the hotel, shower, pack up our gear and drive to Merida where we'll stay at the Casa Del Balam Hotel or a similar 4+ star hotel. The next day, we fly home to the States. I’ve been to Campeche six times now, and it’s one of my favorite fishing trips that I’ve hosted. The city and our dinners at local restaurants have been amazing. The dinners and drinks are not included in the package price, and they cost about the same as in the States for a similar meal. Getting to Scorpion Atoll: The best way to get to Merida is on United from Houston, American through Dallas or Aero Mexico through Miami. From the States, there was John, Nick, Alex, and myself. John had been to Scorpion Atoll and Tarpon Town a few years ago and jumped at the chance to return. John's friend, Nick, works in the Boundary Waters for the US Forest service and had been to Cuba with John. 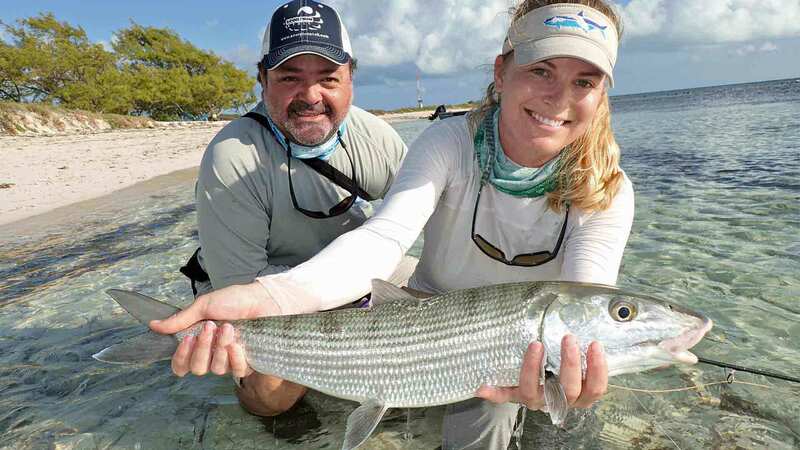 Alex has fished around the world with her father, including two times at Tarpon Town. 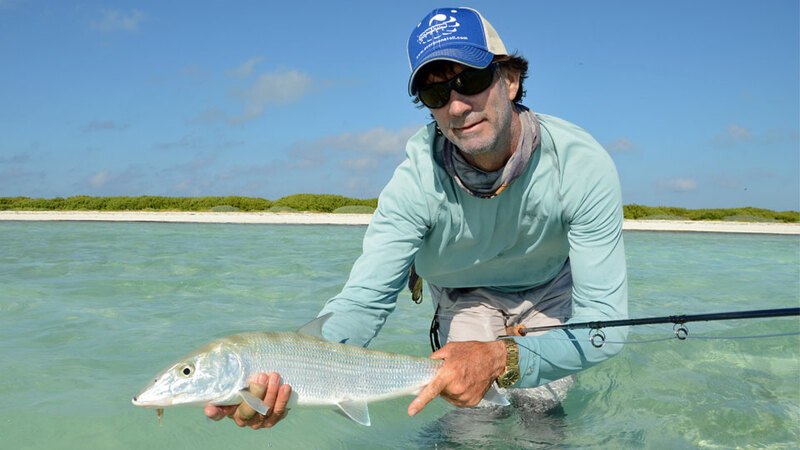 Alex has worked with the Bonefish Tarpon Trust in Miami. Our last morning at the Atoll, we fished and then left about 11:30. It took a little over four hours to get back to Progresso and about 2 ½ hours to drive to Campeche. We checked into the Ocean View Hotel and then the next morning we fished the Mayan Peninsula for baby tarpon. Both of our boats had great fishing in the mornings and then it slowed in the afternoon. The Tarpon were between 5-15 pounds. I’ve now been to Campeche seven times, and it’s one of my favorite fishing trips that I’ve hosted. The city and our dinners at local restaurants have been amazing. The dinners and drinks are not included in the package price, and prices are comparable to the States. The boat captain and mates prepare very good meals with fresh fish, beef, and chicken. Alcohol beverages are included in the package, and if there are special requests, Raul will try to get what you would like to drink, plus bottled water, sodas, and sports drinks such as Gatorade. Anglers sleep on the liveaboard. There are toilets and shower facilities. Please be aware that Scorpion Atoll is an isolated destination; there are no medical facilities. Medical Evacuation Insurance and Trip Cancellation Insurance are both required. We hope that future fishing trips will be as good as we had experienced during our trip. Raul has been running trips here for the last eight years, a few each year. 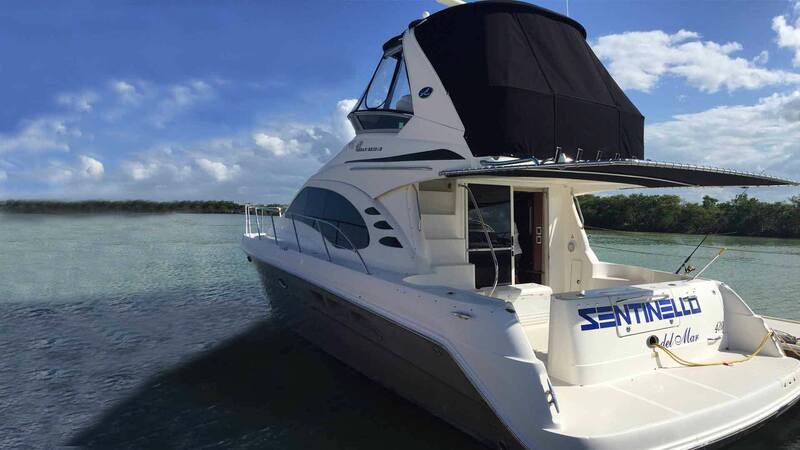 In the past, he was having clients sleep on the beach before using a nice liveaboard boat. Raul said that our group experienced normal fishing conditions and good weather. 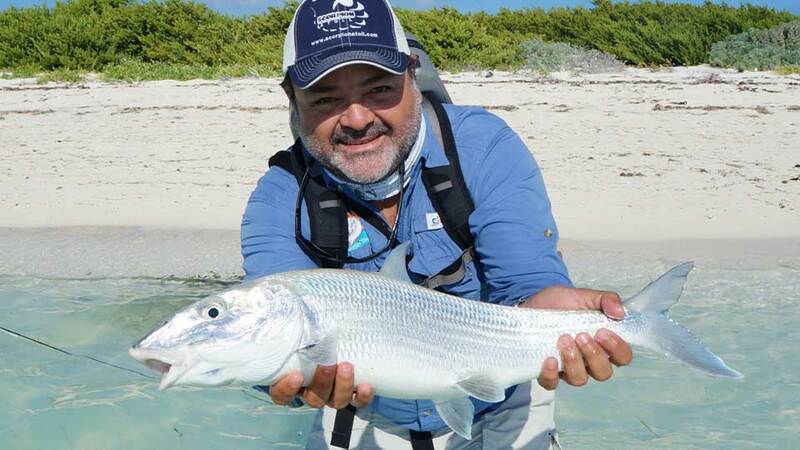 Based on the experience of the anglers, he thought that the numbers of Bonefish landed were similar to his past trips, except for one or two times when they’d experienced bad weather. Scorpion Atoll is mainly sold as a standalone trip. Includes: 2-hotel nights in Merida and 4-nights on the liveaboard. Fishing days include half days on Monday and Friday. First and last night at Casa de Balam (or a similar hotel) in Merida, ground transfers to and from airport, breakfast at the hotel, four nights on the liveaboard, meals, sodas and alcohol on the liveaboard; guided fishing, and a fishing license for the number of days fishing. Airfare, meals and beverages in Merida (other than breakfast), gratuities for guides and crew, fishing equipment and tackle, departure tax*, Medical Evacuation insurance is required - we recommend Global Rescue; travel cancellation insurance is required - we recommend IMG Signature Travel Insurance; and anything not mentioned under inclusions. Note: Double occupancy / price per person. Prices are subject to change and are based on a commitment from four anglers.